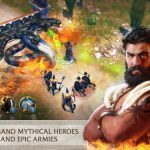 Gameloft has yet another action game for Android and iOS gamers, and it’s called Gods of Rome. 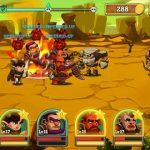 This is an epic fighting game that’s set in an age of myth and legend, as you are invited to join the Ascenders, or the “supreme summoners of ancient legend.” You won’t just be handling gods and upgrading them, but doing the same to mythical heroes and warriors, and even monsters, as you build a team to fight against a “dark force” that could potentially enslave all of them. As for the characters and settings you’ll get to meet here, think Greek and Roman gods like Zeus, Hades, Vulcan, and Atlas, heroes like Spartacus, and many more characters, plus locations such as Mount Olympus, the Coliseum, Pompeii, and more. 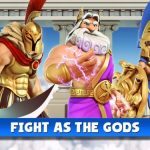 As far as fighting games go, Gameloft has given us a nice twist by launching a game that combines Greek and Roman mythology perfectly. 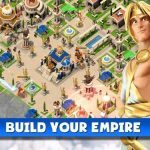 Still, the learning curve of this game may be a bit daunting to some, which is why we’ve come up with several Gods of Rome tips, tricks and strategies that can help you in all of the game’s important modes. One key thing to bear in mind in this game is that you have to be familiar with everyone on your team – know your characters, may they be deities or human heroes, and know their skills, attacks, and affinity bonuses. Affinity bonuses are what happens when characters get boosts when fighting alongside other characters, or against other characters. There are also class bonuses, where one class is stronger or weaker against the other. Be knowledgeable about all these things and you shouldn’t have much of a problem dealing with things in Gods of Rome. While all attacks in the game don’t have much of an AoE (area of effect), there is one common rule when it comes to weapons – the bigger, the better. And you shouldn’t be too far away from your target if you want to hit it; again, remember the AoE, or lack thereof. Stay as close as possible to your enemy if you’re using a melee weapon, and know your weapon or attack’s range if you’re using something ranged. There are also times when you can spam attacks to good effect, such as Cyclops’ heavy attack, which is fun to use repeatedly in campaign mode. At some point, your team of low-ranked characters will include some who are at three stars or better, but you also have to focus on your low-level characters and level them up, especially in the early goings. Small boosts in experience points should go to the lower-level characters, while the bigger and better ones should go to the ones with more potential. Focus more on your highly-rated characters, as it’s possible to get someone better than anyone else on your team; in that case, you can replace your lower-rated characters to make your team stronger. But while they’re still on your team, make sure you give some “love” to the ones in the bottom of the pecking order too. We often say that mobile game makers often make it hard for players to play defensively, which is why making sure you’ve got a good offense or attack often trumps having a good defense. But you also have to pay some attention to the defensive side of things, and block when you have to. If you’re able to block a big opposing attack, you’ll be able to reduce the damage you incur. It’s also possible to swipe backwards to move back quickly, which is best used when you’re being besieged with heavy attacks. Heavy attacks cannot be blocked, which would really require you to avoid them by swiping left, or backwards. The same applies to special attacks – it’s better to dodge than to block, in order for you to incur the least damage possible. In this game, you will soon have to repeat story missions over and over, therefore grinding on those missions, in other words. But all missions should be completed at least twice for the following reasons – you’ll get to unlock all possible routes, and you’ll also be able to earn some special rewards in the process. So if you’re stuck at some point in the main campaign, just go back to those older missions and replay them as often as you please, until you’re able to level up your characters to where they should be leveled up. Having some trouble in battle? You might want to sacrifice some of your lesser characters so the big guns can focus on destroying the tougher enemies. Damage inflicted by a fighter who gets killed would remain in there, which does soften up an enemy for other members of your team.